Second Engineers: Russell Schmitt, Steve Hirsch, Paul Black. Mixing Engineers: Kim King, Warren Dewey, John Haeny. Touring Crew: Alan Howarth, keyboard technician; Michael Knuckles, production manager; Brian Risner, sound engineer; Harvey Schaps, tour manager; and Michael Wiehofen, stage technician. 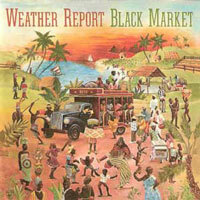 Recorded November 28, 1978 at the Terrace Theatre, Long Beach, California, and other locations in late 1978. Mixed at Devonshire Sound, North Hollywood, California. Columbia Records Press Photo for 8:30. 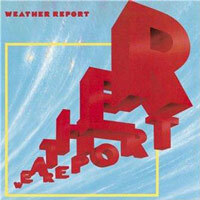 In addition to introducing Erskine as a full-fledged member of the band, 8:30 captured Weather Report pared down to a quartet–a configuration dating back to the pre-Mr. Gone days when Zawinul fired percussionist Manolo Badrena and Alex Acuña manned the drum chair sans percussionist. Asked why the band no longer needed a percussionist, Zawinul said, “It’s making everyone play that much better, and the harmonics can be heard much better. The congas can interfere with the contra alto range of the bass and can devastate part of the piano, too. If the drummer and percussionist are not perfectly synchronized, the music can become chaotic.” [DB78b] “They never mattered all that much anyway,” he later said. “There was always a certain quality missing when we used them. Now we focus much more on melody and harmony. We all play percussion ourselves. It’s much better that way. The sound isn’t as crowded as it used to be.” [LAT78] “We have four percussionists,” Shorter explained. “Each of us will play percussion at some point in the evening, and sometimes I play tenor like percussion. 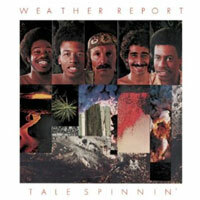 See, we can change hats.” [RS282] We need to take those comments with a grain of salt, however, since Weather Report soon went back to a percussionist and Joe’s own later bands never went without one. Zawinul: It’s a little more focused. It helps the bass player. 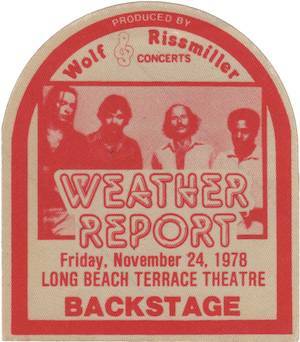 Backstage pass for the Long Beach concert. 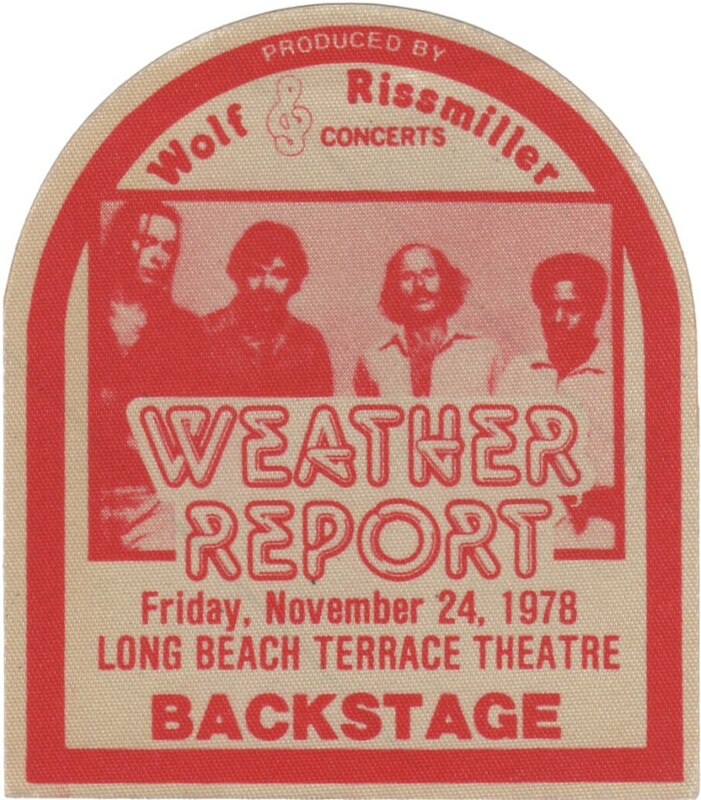 Dennis Hunt, in his Los Angeles Times article promoting the Long Beach concert, made the mistake of suggesting that Weather Report was a fusion band. “It’s all crap. 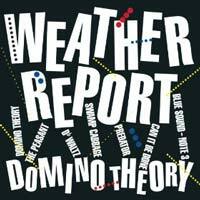 Fusion is all crap,” retorted Zawinul. “I hate it. There is no fusion. What’s fusion? Can you tell me what it is? I think most fusion music stinks and to be put in the fusion category is an insult. It’s the writers who are putting us in this category because it’s easy and there’s no other place to put us. In Europe they have the right idea. 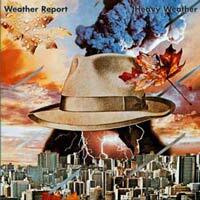 They say Weather Report is the leader in a field of one. There’s nobody like us. We don’t play rock ‘n’ roll or jazz-rock or whatever that crap is. We play our own original music and that’s that.” [LAT78] Glad we got that straightened out! 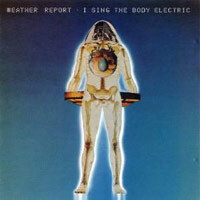 Weather Report performing in Germany, September 29, 1978. Photos courtesy Rockpalast Archiv. Used by permission. Nevertheless, amid the band’s rock act popularity, there were also signs of excess. 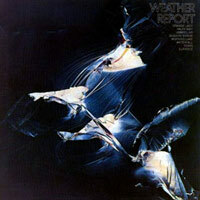 Clint Roswell wrote a scathing description of Weather Report’s appearance at the 1979 Montreux Jazz Festival for Musician Player & Listener magazine. 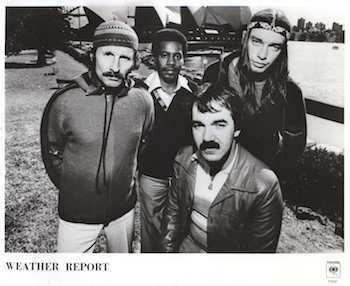 “The festivities at Montreux were inspired,” he wrote, “except for Weather Report, who stepped all over the traditions, the management and the fans.” In particular, Roswell added fuel to the notion that Shorter was being pushed aside by Zawinul and Pastorius. “At one point, during a duet that Shorter tried to sound in on with his tenor sax, the music abruptly changed course so that Shorter put his tenor down for the alto. Once again the music soon changed keys. Shorter, anxious to blow, put it down for his tenor. 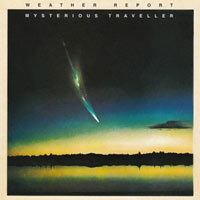 He didn’t get a note in, and finally left the stage.” According to Roswell, “The next morning Shorter told journalists that after eight years of playing with Weather Report, ‘we really had no place to go.’ Shorter then said he was leaving Weather Report in about three months and the group would disband. 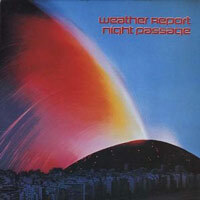 A live album [8:30] would be released, but the group would not play together again after the summer.” [MUS79a] Shorter stayed, of course, and Weather Report’s next album, Night Passage, would see the band eschew excess in favor of flat out blowing. 1978 UK tour program cover, courtesy Andy Forward. Click the image to view the entire program. We had a live version of the tune “Mr. Gone,” which was really killing, and we wanted to include it on 8:30–we’d played “River People” and “Young and Fine,” which were great, really smokin’–because it was going to be a double album. They edited two nights together, and the edit was done, and we were having trouble with engineers on the album, and they brought in a different guy, a hotshot guy. And he sat there looking like a hotshot–he definitely had some attitude. They had done the edit on the two-inch, 24-track master tape, and the only thing Joe wanted to get done this particular morning was to erase something from the Phoenix show which he had played on one of the synths, so they had to erase that one synth track on one side of the edit. This was before automation, so you couldn’t program in a mute–you would literally erase the one track to clean up the edit. 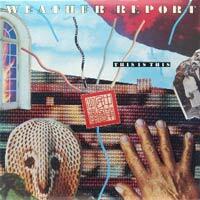 Other tracks from the ’78 fall US tour have appeared in later CD releases. 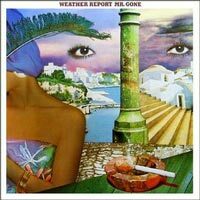 A live version of “River People,” recorded November 28, 1978 in Phoenix, Arizona, was released in 2002 on Live and Unreleased, and is included on the version of Mr. Gone that is part of the 2012 boxed set Weather Report The Columbia Albums 1976-1982. 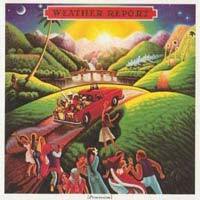 The live medley “In A Silent Way/Waterfall,” recorded November 28, 1978 in Phoenix, Arizona, is on the same albums. 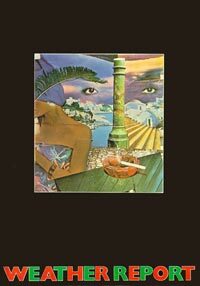 And of course, the entire September 28, 1978 concert in Offenbach, Germany has been released on DVD as part of Forecast: Tomorrow, as well as the CD Live in Offenbach 1978. This track was omitted from the US compact disc release in order to fit the material onto a single CD. 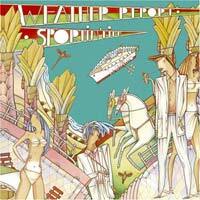 The Japanese double CD release includes all of the tracks from the original double LP. 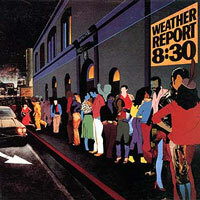 It is also restored on the version of 8:30 that is part of the 2012 boxed set Weather Report The Columbia Albums 1976-1982. 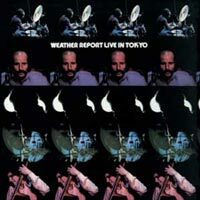 Unofficial recording collector Andy Forward notes that this is an edited performance, as Jaco’s solos during this period typically ranged from nine to twelve minutes. “In A Silent Way” was an oft-used duet vehicle for Wayne and Joe, so it is fitting that for their last performance together — which took place weeks before Joe’s death in 2007 — they returned to it once again. It can be heard and seen on the 75 CD/DVD set. “Thanks For The Memory” is best known as the signature song of the comedian Bob Hope. It was written in 1938 for the movie The Big Broadcast of 1938, starring W.C. Fields, Martha Raye and Dorothy Lamour. In the movie, it is sung by Bob Hope and Shirley Ross, backed by Shep Fields and his orchestra. It won an Academy Award for Best Original Song. Pairing “Badia” (from Tale Spinnin’) and “Boogie Woogie Waltz” (Sweetnighter) was something Joe returned to time and again over the years. 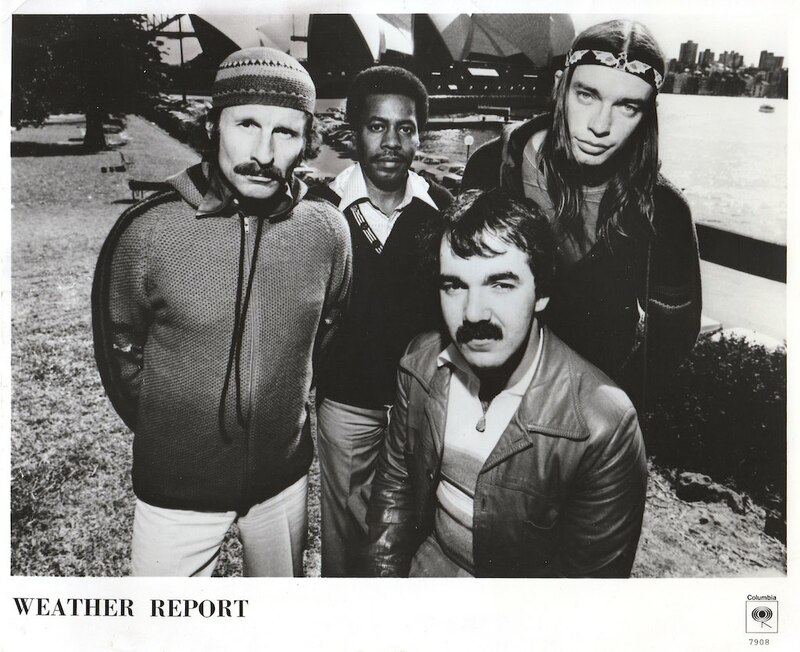 In addition to performing it in Weather Report concerts, it was a staple of Joe’s later band, the Zawinul Syndicate, whose live performances can be heard on 2005’s Vienna Nights, and on Joe’s final album, 75. 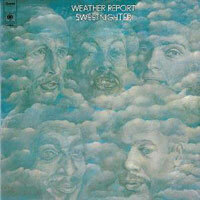 Zawinul also recorded a live version with the WDR Big Band on Brown Street. Years later, Joe recorded a live version of “Brown Street” with the WDR Big Band using an arrangement by Vince Mendoza that hews closely to the original here. It is preserved on the album Brown Street. Like “Unknown Soldier” from I Sing The Body Electric, this song has to do with Zawinul’s experiences as a child in Austria during World War II. Joe often related tales of this time in interviews; it clearly left an indelible mark. Billboard chart peak: Jazz Albums, 3; Top 200 Albums, 47.